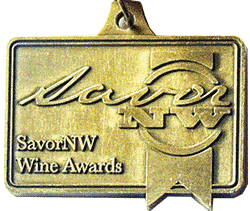 Puffin Pinot Gris 2018 was named “Best of Class” at Oregon’s 2019 Savor Northwest Competition! This straw-colored Pinot Gris leads with pleasing aromas of green apple, pear and white flowers. Subtle aromas of apple blossoms, melon, and lemon zest follow and make this wine so inviting. In the mouth, this wine is well-balanced and smooth from start to finish. Fruit flavors of apple, apricot, pear and citrus fruit allow the wine to linger on the finish. 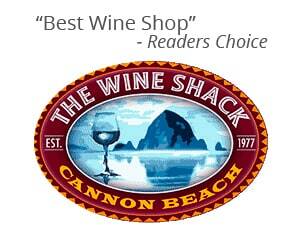 Store owners Steven and Maryann Sinkler try to offer just about anything a wine connoisseur could need at The Wine Shop in Cannon Beach. The store offers a variety of wines, some from as far away as France, others as local as reds from the Willamette Valley, the Oregon Pinot Noirs or even a selection from The Wine Shack’s own line of Puffin wines. Many of the Puffin wines are well-decorated, including the 2016 Puffin Pinot Gris, which won a silver medal in the 2017 Sunset International Wine Competition. The shop, located in the heart of downtown, is also known for its tasting room, as well as the recently added charcuterie, Provisions 124, which provides a variety of gourmet cheeses, coffees, salamis and breads to complement whatever bottle of wine was purchased next door. But above all, Steven said what he thinks makes The Wine Shack stand out is customer service and a shared love for what they do. This year, The Wine Shack hopes to introduce a best value rack, featuring highly rated wines for a modest price, Sinkler said. This is is unlike any other wine club you’ve heard of. In addition to offering our own delicious Puffin wines, we’re including amazing wines from some of our favorite Pacific Northwest wineries. 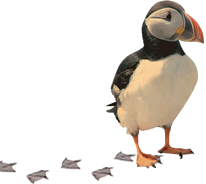 That’s right…you get Puffin wines AND wines from other local wineries. Because we own a wine store, we have access to the finest wines made in the Pacific Northwest. “Champagne for everyone!”, Brett Zimmerman, Master Sommelier proudly announced. And with that, there were 44 newly credentialed Level One Sommeliers. We can blame California winemakers for a couple of things; chardonnay that tastes like buttery oak planks and rosé that tastes like sweet pink water, but we can’t blame California for the confusion surrounding one of my favorite wines, riesling.